In a statement Friday, Fisher-Price said that it stood by the safety of its products and said it issued the recall "due to reported incidents in which the product was used contrary to the safety warnings and instructions". The deaths happened after the infants rolled over while unrestrained, or under "other circumstances". Last week, the CPSC had only cited reports of 10 fatalities - of babies 3 months or older - but a Consumer Reports analysis linked the popular sleeper to 32 infant deaths, between 2011 and 2018. "This product is deadly and should be recalled immediately", Dr. Kyle Yasuda, president of the AAP, said in a press release. "This product is unsafe and I urge parents and caregivers to stop using it right away", said Ben Hoffman, M.D., chairperson of AAP's Council on Injury, Violence, and Poison Prevention Executive Committee. Tragically, that is not the case. 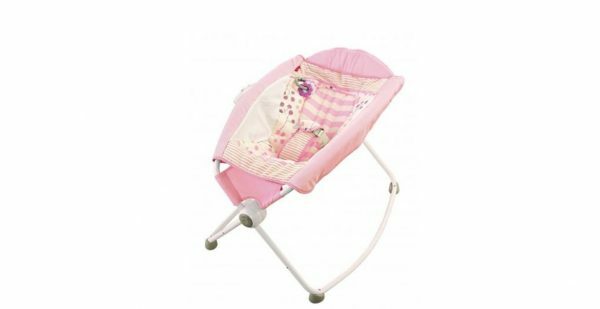 Fisher-Price is recalling almost 5 million infant sleepers after more than 30 babies rolled over in them and died, since the product was introduced in 2009. But AAP's chair of the Task Force on Sudden Infant Death Syndrom (SIDS) said the product fails to meet the group's recommendations for a "safe sleep environment". "We need to step up efforts to assure safety in products before they go on store shelves or into our homes".